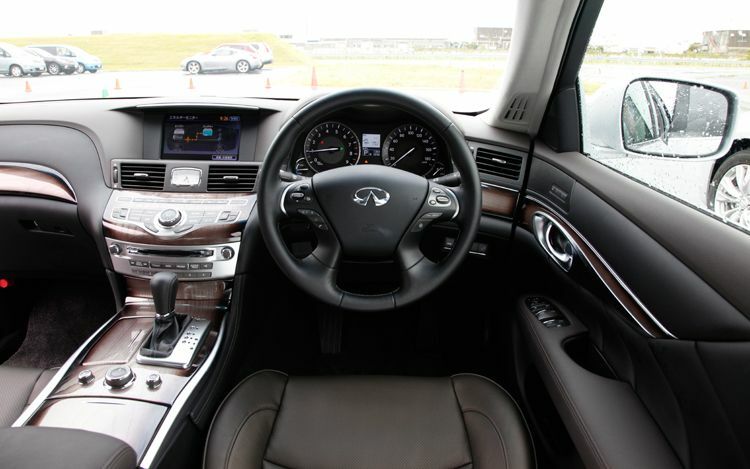 Want to park a 2012 Infiniti M35h in your garage? According to the automaker, the privilege will run you $54,575, including $875 in destination fees. For those keeping score, that’s nearly $6600 more than a comparable M37 sedan. That premium doesn’t net you any additional creature comforts, but it does replace the M37’s 3.7-liter V-6 with a 302-horsepower, 3.5-liter V-6 and a 67-horsepower electric motor. 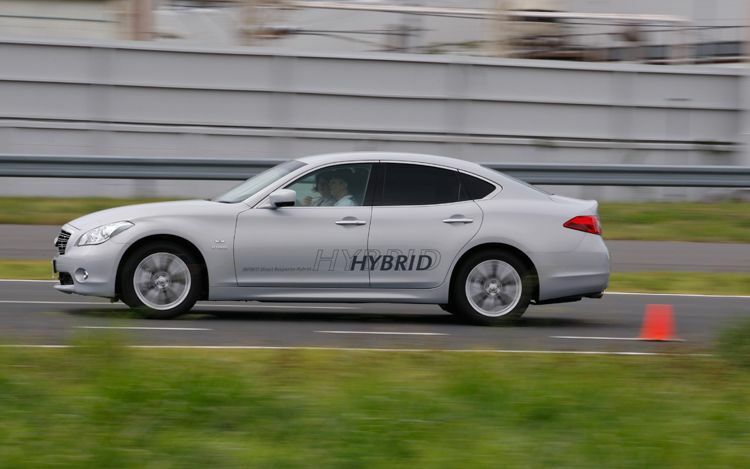 The hybrid driveline does boost EPA figures to 27/32 mpg (city/highway), which is a sizable improvement over the 18/26 rating affixed to a standard M37. That said, the M35h doesn’t exactly skimp on amenities, either. Standard equipment includes leather seating, active noise canceling, keyless entry and ignition, 18-inch aluminum wheels, a moonroof, and Bluetooth phone connectivity. Buyers will be able to spring for virtually every option package offered on M37 models, save for the sport package. An optional premium package adds navigation, voice-activated commands, heated and cooled front seats, and a heated steering wheel. The deluxe touring package throws in a Bose 5.1-channel Studio Surround sound system, an interior air purifier, semi-aniline leather seating with quilted inserts, white ash wood trim, a suede-like headliner, and a power rear sunshade. Spring for the technology package, and the M35h receives adaptive cruise control, lane departure warning, blind spot detection, adaptive headlamps, and pre-collision seatbelt tensioners. Pricing for those three packages has yet to be announced, but if they’re similar to those offered on the M37, expect them to ring in close to $3350, $3800, and $3000, respectively. 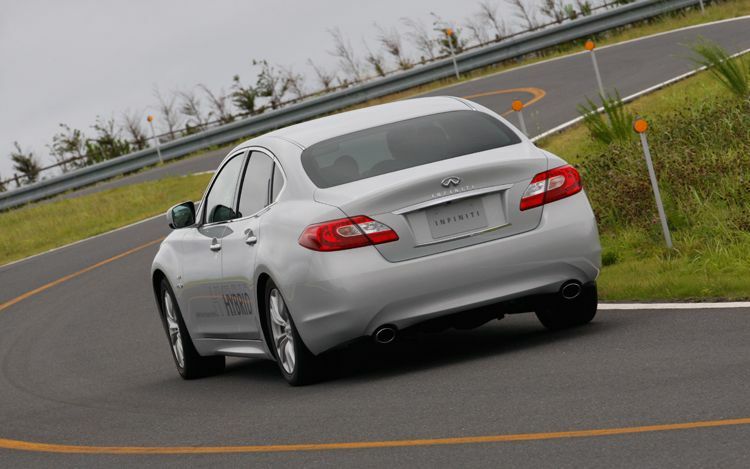 Look for finalized numbers to emerge by March 2, when M35hs are expected to arrive at dealerships nationwide. Been away from your computer this week and missed all the automotive news? 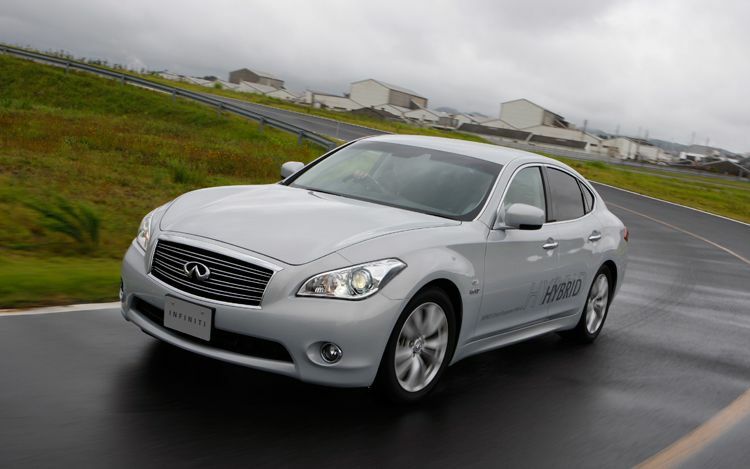 Infiniti is putting its recent partnership with Red Bull Racing Formula One team to good use by producing this promo video, which highlights the M35h’s performance chops. 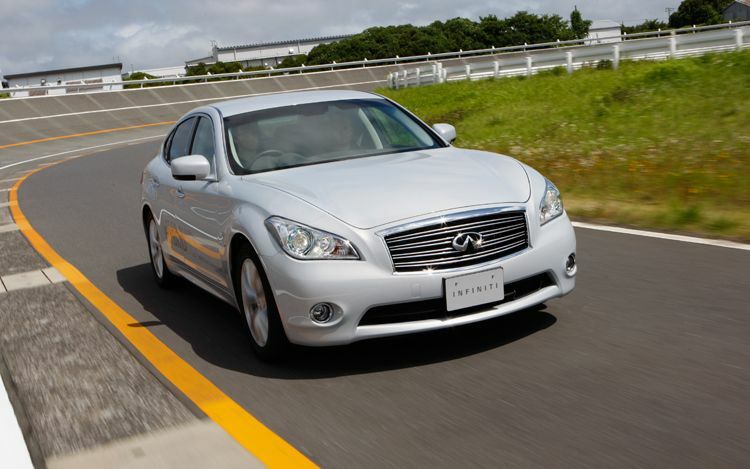 Want to park a 2012 Infiniti M35h in your garage?